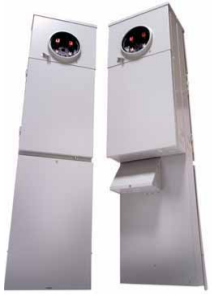 Can Eaton's mobile home panels be pedestal mounted? Eaton's offering for mobile home panels can either be pedestal or surface mount. Eaton’s versatile Mobile Home Panels have a user friendly design that allows for a faster, cleaner installation. 100 and 200 A panels come complete with the main breaker and a 4/8 or 8/16 interior, respectively. The 200 A units are designed with ample width to ensure plenty of room for wire bending and an easier installation. To view Eaton's offering for mobile home panels please see Catalog Volume 1 Tab 5.